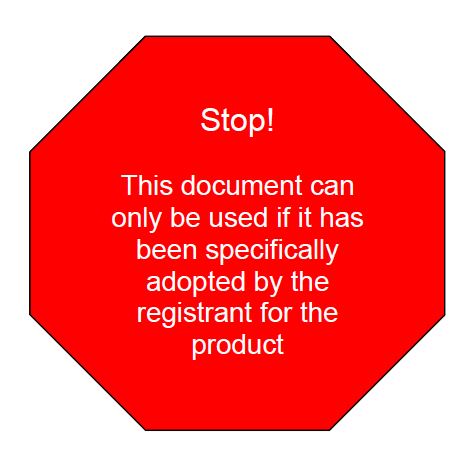 Registrant must authorize use of this guidance for their product. Is the pesticide container refillable? To verify the pesticide container is refillable, read the marks & labels found on the containers. A non-refillable pesticide container must not be refilled. Will the container be refilled, rededicated or recycled? If the container is to be removed from service (disposed or recycled) do not use this guidance. Use the cleaning instructions on the label and the guidance document titled “Safely Cleaning Refillable Pesticide Containers for Recycling” http://www.croplifeamerica.org/what-we-do/cropprotection- goals/safety-regulations . If the container is to be refilled with the same product or similar product (as defined by the registrant) it may not need to be cleaned if the one-way valves and tamper evident devices are in place. The goal is to educate the users to leave tamper-evident devices intact to avoid unnecessary cleaning of containers. If the container shows evidence of tampering or if it will be rededicated to another pesticide product, then it must be cleaned using the written residue removal procedure (cleaning instructions) provided by the registrant of the pesticide product being put into the container (see 40 CFR §165.70(g)). If the registrant references this document, these cleaning instructions may be used. After cleaning, the refillable container must be clean, drained and free from contaminants. Even so, registrants may not allow some pesticide products in containers that were previously used for other products. For instance, they may prohibit introduction of fungicides into containers that previously contained herbicides. Also, registrants may not allow refilling of some products into containers with visible staining. If a refillable container needs to be cleaned, the EPA regulations require the refiller to clean the container. The refiller could contract with someone, including the end user, to rinse the container according to the registrant’s written residue removal procedure provided the registrant allows such a contractual arrangement. 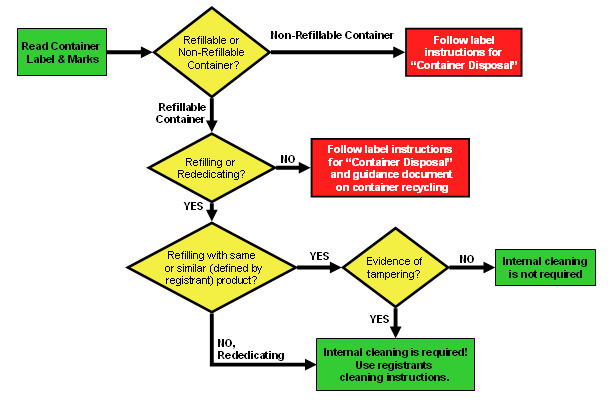 This practice would have to be consistent with the repackaging contract with the registrant (i.e., not prohibited); the contractor would have to clean the containers using the registrant’s residue removal procedure for the product; and the refiller would have to ensure compliance with this and all other applicable regulatory requirements. However, entering into such a contract would not relieve the refiller of his responsibility for complying with the requirement to clean the container if necessary (§165.70(e)(8)). Review the label and Material Safety Data Sheet (MSDS) for each pesticide product, noting safety information. Check with your pesticide state lead agency for requirements on certification of applicators and/or handlers. Workers cleaning containers may need to be certified applicators, trained as handlers under the Worker Protection Standard (40 CFR 170), and/or require training or certification to wear PPE, manage waste, operate equipment, and/or transport containers. Workers cleaning containers must wear the personal protective equipment (PPE) required on the label for mixing, loading and application. If many different containers are to be cleaned, use the most protective PPE. Review the site/facility safety procedures and environmental policies. If industrial equipment (pressure washers, forklifts, etc.) are used then review the manuals and safe operating procedures. Verify that workers are trained and/or certified to operate equipment and handle pesticide products and wastes. Use equipment manual or safe work practice. A rinsate collection system and residue management plan must be available before beginning thecleaning process. Cleaning should be done on a mix load pad or other containment structure that allows collection of rinse water. Review state and local environmental rules and use these (together with the label and MSDS) to identify any product that may be regulated under waste rules. Some residues may be moved to containers that are dedicated to pesticide rinsate management. If containers with residue will be transported, obtain shipping information (needed to transport containers with residue or rinsate). If possible, avoid using soaps & cleaners. If soaps & cleaners are needed review the label and MSDS, use the smallest amount needed, and use only water in the final rinse. Many distributors and others sell commercial tank cleaners suitable for use; however, before using consult with the product’s registrant. Also, verify the soap or cleaner can be used in your rinsate management program. One part household ammonia to 100 parts warm water. If ammonia based fertilizers are used, then a greater dilution should be calculated. Ordinary dish soaps (used to clean food serving utensils) diluted in water. Commercial tank cleaners diluted according to label directions. To meet the minimum quality standards required for any pesticide product (described in the product’s registration formula statement) products can only be filled into clean, dry containers free from residue, or containers that held the same or similar products. Additionally, EPA must be notified if other pesticides have adulterated products above levels of concern. To prevent cross contamination, products with dissimilar uses or formulations should not be used in the same container. Here are some general recommendations. Whenever possible, dedicate containers to a single product or similar product as defined by the product’s registrant. Do not put corn herbicides in containers used for soybean herbicides and vice versa. Do not put fungicides or insecticides into herbicide containers. Be certain containers are completely dry (no water) before filling with Emulsifiable Concentrates (ECs) i.e., products having non-water solvents. Do not put microencapsulated formulations into containers that contained ECs or that may have solvent residue. Use the pesticide panel label and container’s unique identifier to keep track of the product previously in a container. If authorized by the pesticide’s registrant, follow these instructions to clean a refillable container before refilling or rededicating it. Visually inspect all containers and any associated transfer equipment and plan the cleaning process appropriately. For example, containers thoroughly rinsed clean through special arrangements with the end user or that are dedicated to a single product or similar products (and have intact tamper-evident devices and one-way valves), may not require additional cleaning. Damaged containers, containers with visible staining or dried solid residue may need special treatment. Stage containers on a containment pad during the cleaning process, so the rinsate can be collected and managed. Use the pesticide product panel label along with the container’s unique identifier to note the pesticide product being cleaned out of that container. Remove old labels, placards, and tamper evident devices. Alternatively, the panel label can remain on the container and be removed when it is completely cleaned. Thoroughly rinse or pressure-wash the exterior of the container to remove dirt and residue. If needed, tank cleaners may be used on the exterior. Wash until all visible residues are completely gone. If the container has not been field rinsed through special arrangements with the end user, rinse any visible residue from inside the container with water. Using a sprayer, rinse the interior of the container using only enough water to completely remove the residue. If the container is equipped with an internal pump, the water must be flushed through the entire delivery system until the rinsate is clear. Drain and collect the rinsate from the container. Repeat high pressure rinsing until container is clean & rinsate is clear. Inspect the inside of the container to determine if additional cleaning is needed. For stubborn residues, hot water with a cleaning solution, such as a commercial tankcleaning compound suitable for use with pesticides (exempt from a tolerance) may be used. Using a high-pressure sprayer and rinse nozzle thoroughly flush the interior of the container again. If the container is equipped with an internal pump, the tank cleaning solution followed by water must be flushed through the entire delivery system until the rinsate is clear. Inspect the inside of the container. If needed, use a light or mirror to thoroughly inspect and insure visible pesticide residue has been removed. If a tank cleaner was used, insure the last rinse is water only and that the water is flushed through the delivery system. Drain the container. 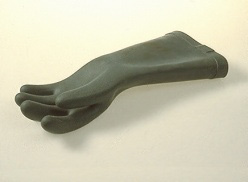 A pump or dedicated wet-dry shop vacuum may be used to remove any remaining rinsate. Caution: If product is a DOT combustible or flammable class 3 (a.k.a. “red label”), use pump or wet-dry shop vacuum only if combustible vapors are not present (verify with a Combustible Gas Indicator). After cleaning, the container should remain sealed to prevent introduction of foreign material. NOTE: If in practice, you develop a better, easier cleaning method, please let us know at CLA.